Here's an inspirational poster for college that will encourage you to take risks in college. Just make sure you're taking the correct risks, such as trying a challenging class! Dorm posters that can help inspire you are useful dorm items, and they're more than just dorm decor. 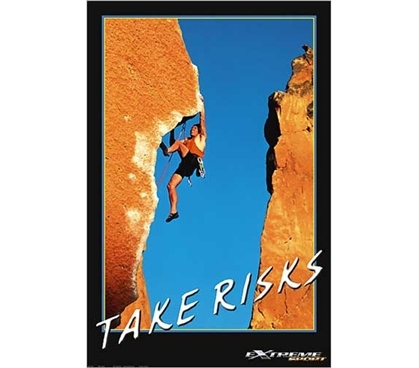 With this Mountain Climbing -Take Risks Poster, you can have a college decoration that inspires, aside from making your college decor look better.